A wry, witty account of what it is like to face death—and be restored to life. After being diagnosed in her early 40s with metastatic melanoma—a “rapidly fatal” form of cancer—journalist and mother of two Mary Elizabeth Williams finds herself in a race against the clock. She takes a once-in-a-lifetime chance and joins a clinical trial for immunotherapy, a revolutionary drug regimen that trains the body to vanquish malignant cells. Astonishingly, her cancer disappears entirely in just a few weeks. But at the same time, her best friend embarks on a cancer journey of her own—with very different results. Williams’s experiences as a patient and a medical test subject reveal with stark honesty what it takes to weather disease, the extraordinary new developments that are rewriting the rules of science—and the healing power of human connection. Williams gives great detail in telling her own story of cancer along with opening the door wide in regards to her very intimate thoughts and emotions, love, family, caregiver, friend, medical and science. Whether you have been touched by cancer directly or indirectly you’ll find Williams’ journey, experience and insight a wealth of information, educational. Her journalistic gift allows her to delve into clinical trials and cancer research without the explanation being complex or boring, she breaks it down for civilians to easily grasp. Williams participates in a clinical trial drilling the importance of breakthroughs and all the challenges associated with trials. Her positive attitude, humor, and determination helped her along the way with her survival and the profound losses she personally experienced along the way while fighting for her life. I appreciated her candor and openness. Bittersweet story with a wonderful uplifting ending for Williams. Mary Elizabeth Williams is a senior staff writer for award-winning Salon.com whose columns are regularly among the top viewed, commented on, shared, and cited as the best of the week. 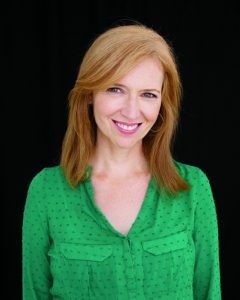 The “Lab Rat” series on her clinical trial was nominated for the 2012 Online Journalism Award for Commentary, and her essay on receiving a melanoma diagnosis is in the Harper anthology The Moment, an Entertainment Weekly “Must List” pick—alongside essays by Elizabeth Gilbert, Jennifer Egan, and Dave Eggers. She is the author of Gimme Shelter: Ugly Houses, Cruddy Neighborhoods, Fast Talking Brokers, and Toxic Mortgages: My Three Years Searching for the American Dream. A starred Booklist selection,Gimme Shelter was called “poignant and funny” (Kirkus), “a must-read” (New York Daily News), “hilariously evocative” (Time Out Kids) and “compelling” (Publisher’s Weekly). She lives in New York City with her husband and two daughters. Find out more about her at her website. Be sure to click on the TLC banner to check out the entire tour schedule. Thank you TLC! The idea of a clinical trial has always made me uneasy. I’ve often wondered what circumstances would compel me to participate in one. Thanks for being a part of the tour for this incredible book!